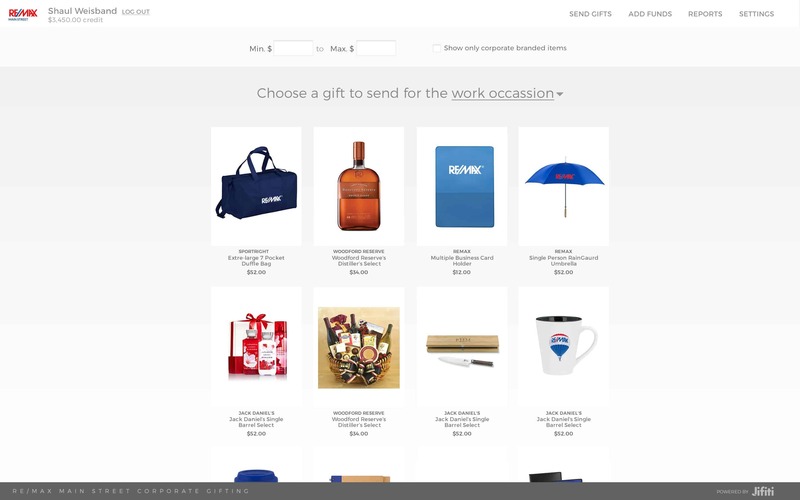 Send gifts with nothing more than a recipient’s email address. Stop wasting countless hours locating up-to-date shipping addresses. Only pay for gifts once recipients enter their shipping address and don’t pay for gifts that don’t reach their destination. Simply upload your logo and corporate color palette to provide a fully branded customer experience. What you’re doing today: Spending countless hours tracking down current shipping addresses and then providing each address to a vendor to ship your gifts. Hoping that the recipient’s gift finds its way through the corporate mailroom and to the right location on time. With Jifiti: Simply enter the recipient’s email addresses (manually or via a list). Recipients unwrap their gifts online and enter their own shipping address. Gifts are quickly delivered to the right person, at the correct location. Free to use. No commitment - Sign up! What you’re doing today: Employees are individually sending business, promotional & employee holiday gifts, documenting their gifting activity, and submitting expense reports. Numerous people are involved in managing your gifting program and consolidating data to report on gifting details. With Jifiti: Relevant data is captured with every gift sent providing the management and compliance teams with instant access to reports which highlight gifting detail, trends, and spending. With Jifiti: The entire gifting flow is branded with your logo, colors and messaging. The recipient subtly interacts with your brand as the gift is unwrapped, a shipping address is added, and a thank you note is sent. Additional options to visit your site or address some call to action can also be incorporated. Get set up - Its free! With Jifiti: You will have access to a customized gift catalog that can include hundreds of items from dozens of leading retailers – large and small. Have a local vendor you like to send gifts from? Add any of their items to your catalog and send them any time with a click of a button. 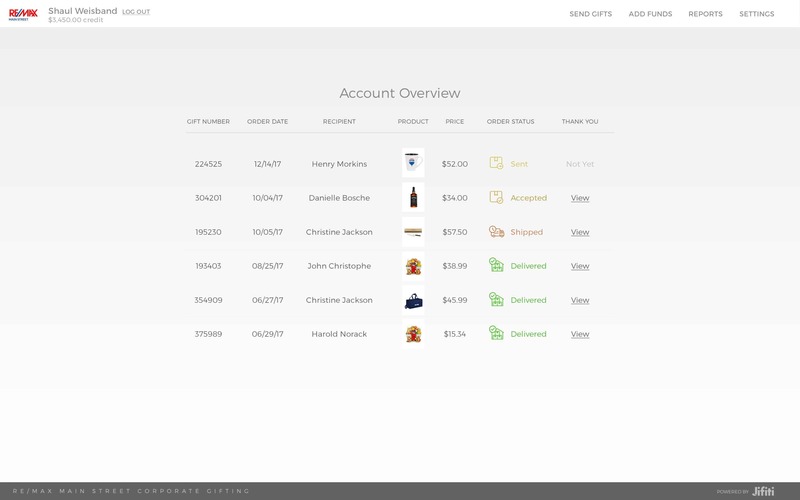 Platform settings can be modified to ensure all gifting compliance standards are met – including product offering, pricing and reporting. Administrative controls to define who can send gifts, budget limits and gift selection criteria. Know in real time what gifts are being sent and accepted. Gift recipients are given the opportunity to send a simple thank you note to the gift sender. 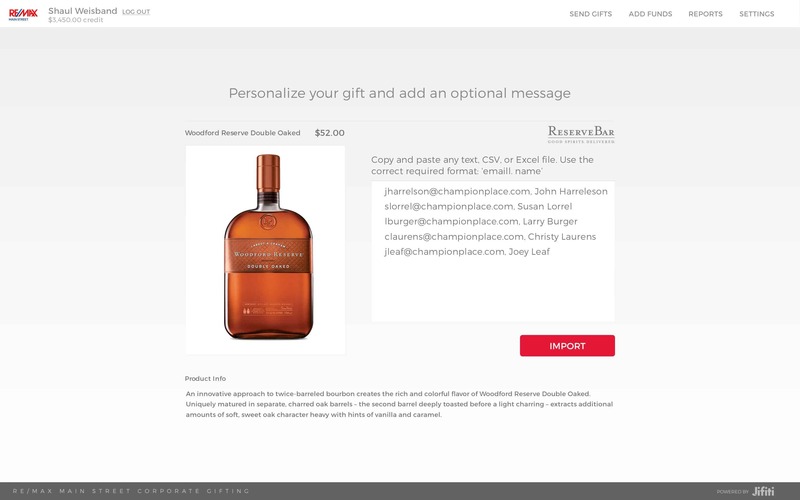 Encourage brand interaction with a customizable gift page. 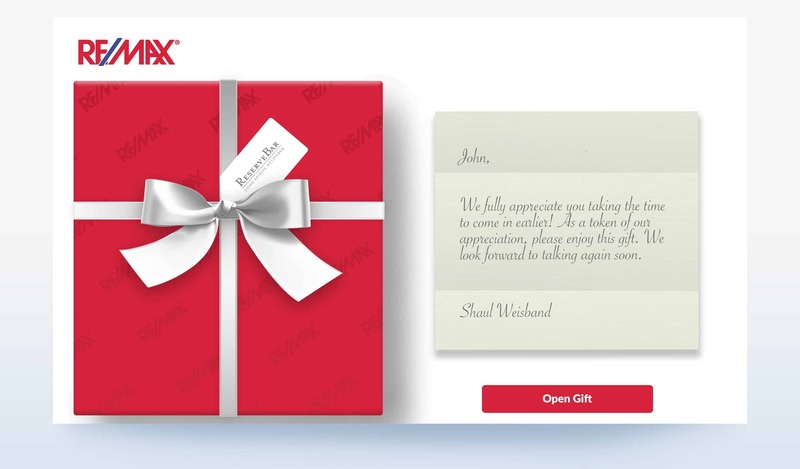 After opening their gift, recipients can visit your site or respond to a call to action.. Send one or hundreds of gifts with a click of a button. Once the recipient enters their shipping address, the gift is seamlessly fulfilled and shipped by the retailer.